Saral Gyan team wishes you a Happy Independence Day! 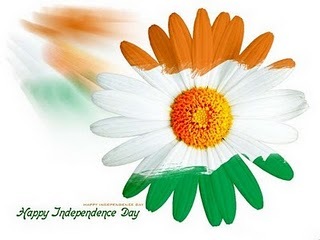 Let us share the spirit of 15th August keeping an objective to achieve Financial Independence. Achieving financial independence is more about changing our mentality than it is about accumulating money. It is about creating your own paycheck, not just living paycheck to paycheck. It is about overcoming fear and circumstance as much as it is about saving and building a retirement account. The first and most important thing you all need to recognize and believe is that achieving financial independence is absolutely possible. Why then, is it so often not achieved by the vast majority of people? It has very little to do with talent, circumstance, geographic location, career choice, or family inheritance; actually, it has everything to do with desire, belief, hard work, sacrifice and persistence. There is a good saying that "Until you take responsibility for your own actions and decisions, you cannot succeed. It’s just one of the laws of life." So what does this mean to you as an investor? It’s up to you to maximize your income and minimize your outgo. It’s up to you to live within your means, use credit wisely (or not at all) and save as much as you reasonably can. It’s up to you to outline your financial future and follow a workable plan to achieve long-term financial independence. It’s up to you to invest your money wisely, keep a sharp eye on taxes and expenses, or make certain that you delegate this responsibility wisely. Start saving more and inculcate habit of investing your hard earned money into various asset class like land, precious metals and more importantly stocks to continuously earn passive income. Equity Desk - Saral Gyan. (Saral Gyan offers Hidden Gems & Value Picks - Sound and unbiased research reports of small & mid cap companies with high probability to provide multi-fold returns on investment in medium to long term period).